Daagdi Chawl(दगडी चाळ) is a upcoming action drama Marathi film of the year 2015 starring Ankush Choudhary, Makarand Deshpande and Pooja Sawant in main lead roles. The film is directed by Chandrakant Kanse and produced by Amol Kale, Suresh Sawant under the banner of Sai Pooja Films and Entertainments. 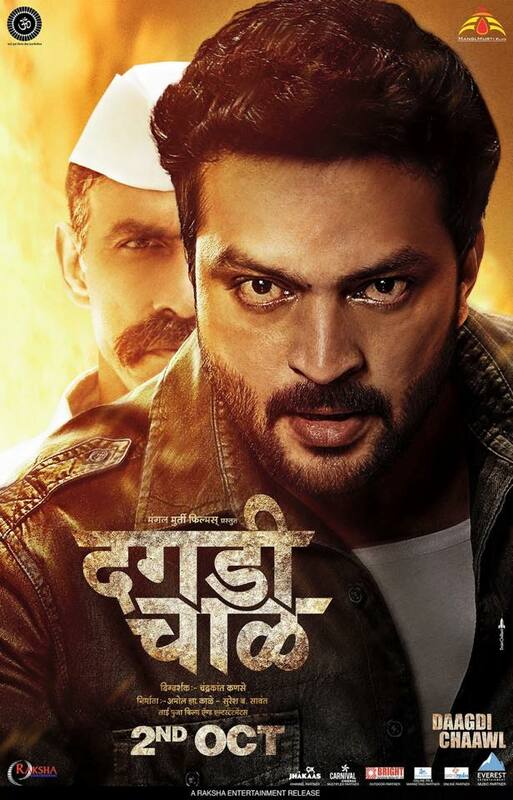 The Marathi film Dagadi Chawl is all set to release on 2nd October, 2015. The movie will be on cinema on coming Gandhi Jayanti which is a national band holiday. So Here is the Trailer of Dagdi Chawl Movie which is an extraordinary tale of a common man who is fighting against all odds to survive. The movie is presented by ManglMurti Films. => Check Timepass 2 Movie here!